We focus on returning your life back to normal as fast as possible to minimize the impact of your loss to your home or business. We provide 24 hour emergency water & flood damage restoration services all across the country. We are a preferred provider with most insurance companies. We have a full response water and flood restoration team. When you need a team that can handle fast water removal and dryout, you need to get in touch with our team of expert professionals. We provide 30 minute response times for water removal and extraction calls. Mold can grow in commercial and residential home that has an abundance of moisture or water. We can get a certified mold inspection, provide expert professional removal & cleaning of the affected areas. What You Need To Know About Action 1 Restoration Emergency Services! Whenever a home or business has suffered minor or major damage caused by water or fire, it is crucial to hire our reputable damage restoration company. Even a minor fire in the building structure can cause extensive room by the flames and smoke, leaving residue behind. Additionally, water can cause substantial damage in less than obvious ways, by creating the ideal breeding ground for mold, fungus, bacteria, mildew, pathogens and viruses along with other hazardous contaminants.Our professional team provides a variety of restoration services including emergency cleaning and repairs, debris removal, structure restoration, deodorization, emergency plumbing, selective demolition, water extraction and damage mitigation. Our team has extensive plumbing experience and training in water damage restoration processes. Our emergency service allows our team to respond to the call any time a round-the-clock. A broken water line, busted sewer pipe or other source of water can cause serious damage if the situation is not resolved immediately. Our experienced water damage restoration team provides emergency plumbing and water extraction services.Our team will respond to an emergency promptly bringing our industrial water extraction equipment, humidity gauges, industrial fans, and other necessary equipment. Our efforts make sure that all of the water is removed, along with accumulated moisture and building materials and components, which could cause secondary damage if left behind. Unexpected water in a structure can cause an emergency requiring an immediate response. Our team provides 24-hour emergency service to begin the process of assessment, evaluation and damage restoration. Upon arrival, our professional team will stop the source of the leaking water, caused by a variety of conditions including a busted pipe, backed up sewer, leaky roof, dripping faucet, damaged hot water tank, or flood waters from outdoors. Through training and years of experience, our team of technicians will use specialized equipment to extract the water, sanitize and deodorize the area, and dry every damaged surface. The final step involves restoring the area to its pre-flood condition, assuring the property owner is left with a safe living environment. Over time, the materials begin to slowly decay, affecting other areas in the building structure. By the time the wet spot or other significant physical indicators are noticed, the damage is likely already severe, requiring immediate attention. Read more about our water damage restoration services and our water damage restoration process here. Sewer damage poses dangerous health and environment issues that needs to be contained by an experienced professional. You need to rely on experts that are trained and certified in sewage cleanup services to protect you and the environment. Since damage sewage cleanup and restoration involves physical and chemical processes its needs to be addressed as soon as possible to prevent further exposure and contamination.There is a physical cleanup that is needed and also a chemical disinfecting that needs to be performed. The reasons that chemical disinfection is used is because many organisms are present in sewage damage and many of them can not be eliminated by physical cleaning alone. Our sewage damage professionals will ensure that any home or business will be free of any sewage dangers or contamination that was caused by problem. 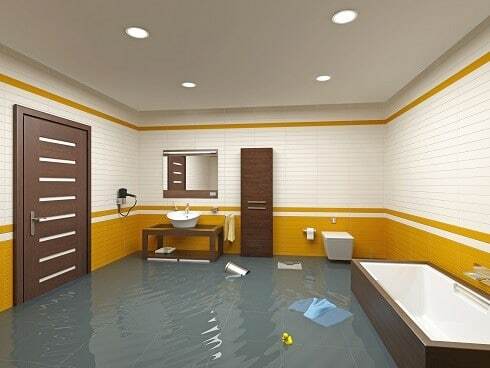 Check out our water damage services in order to learn more about sewer damage restoration. When commercial structure or residential home experiences a fire, it is often left with serious smoke and burn damage. Without professional assistance, ash residue and smoke can quickly develop extensive corrosion, etching and discoloration in building materials, flooring, ceiling tile, appliances, furniture, furnishings, carpeting and draperies.Our team uses special equipment and proven methods for eliminating chemical traces and small particles left from the fire and smoke. Our skilled technicians are trained to correct damage to the structure and components, which are caused by the accumulation of smoke and exposure to fire. In many incidences, drapery, carpeting, furniture and other organic components can be restored fully from the ravaging effects caused by fire damage.Many times, homes and commercial properties with significant damage caused by fire also have extensive water damage. This is often the result of firefighters using massive amounts of water to extinguish the flames and eliminate the potential of burning embers. Because of that, our team uses proven methods to restore the fire and water damaged area to restore it to its prior state. To minimize the potential of secondary damage, it is important to extract all standing water, along with accumulated moisture in building materials and components. Before restoration can start, our team locates all accumulated water in obvious locations, and in inconspicuous places including under the stairs, behind walls, in the basement, under flooring, and in the attic. Our professional water extraction team uses a wide array of moisture detection devices, including hydrometers, during the water extraction and removal process. In addition, our team uses sump pumps and industrial vacuums.Often times, building materials must be removed to gain access to hidden areas for water extraction. 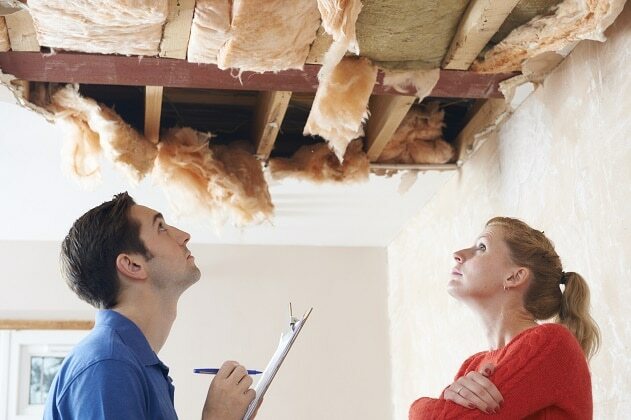 This often includes pulling up flooring materials along with removing drywall and insulation. Damage to a home or commercial property caused by water or fire is a serious problem. Fortunately, commercial building and residential home insurance policies cover extensive water damage from a variety of sources. These include broken water lines, leaky roofs, backed up sewage lines, overflowing tubs and toilets, broken washing machine water lines, water left behind by firefighters and others.Our team of trained specialists works directly with all major insurance companies. Our fire and water damage restoration company provides accurate records to indicate damage mitigation, water extraction, wet document recovery, contents restoration, emergency plumbing services, dehumidifying and drying, sanitizing and deodorizing along with other services required to restore the damaged area to its previous condition. Read more..
Just a minimal leak can lead to a significant disaster if the property owner leaves it untreated. Water can easily seep into the cracks of the foundation, floor and walls without notice. As the water accumulates in the area, it slowly begins rotting material that can cause significant damage to drywall and wood.Our damage restoration company offers full service where all water is removed from the damaged area, followed by full restoration of the area to its pre-flood or pre-fire condition. Our complete service minimizes the need to hire multiple contractors or companies, or deal with the hassle of multiple insurance claims and extensive paperwork.We offer 24-hour emergency service with a quick response to get the business or home back to its normal state. In addition, our team takes care of everything to make sure that the project is handled professionally in a timely manner. Contact us today to learn more about the contractors we work with in your city and state or check out our current locations we are servicing. Learn more about some additional water damage tips and what you can do to assist and help speed up the cleanup process. Learn some additional tips on fire damage and what to do to help prevent fires and what to do after the fire. Learn more about water removal, what you can do to help minimize the damage and start the process before we show up. It is important to get in touch with our team so we can get the truck rolling out to your home or business. When it comes to mold there are several steps that need to be taken in order to determine if is a minor problem or major problem. Mold can be very dangerous to your health and the health of your family. When it comes to storms there are many different types of natural disasters that can cause a wide spectrum of restoration needs for your home or office. You can learn more about some of the steps you can take to help speed up this process. Find The Action 1 Restoration Nearest You for Immediate Assistance! Water damage disasters can happen at any moment and you need an expert reliable team to help you. These disasters can and will happen when you least expect them to, we are here to help you. We help you with the disaster and dealing with your insurance company.